The Sozo Educentre is our after-school tutoring and mentorship programme for high school learners from the Vrygrond community. Educentre provides a safe space for 60 high school learners (between the ages of 13 – 18 years) to be equipped and empowered within their own community to achieve their full potential. The mission: To see every child finish high school successfully and to assist each learner with post-schooling opportunities that will lead to a dignified job. We provide Educentre students with the intensive academic support that they desperately need to succeed in school and beyond. Learning on an empty stomach is almost impossible. That’s why we provide our students with a nutritious meal every day. At Educentre, learners are given access to a wealth of information on the internet. They are taught how to use a computer as well as navigate the internet to aid learning. Our social worker provides emotional support to our learners, as well as their families, helping them to navigate tough situations and challenges they may be facing. Our learners are guided and supported by mentors, all of which are full-time staff members at Sozo. We inspire our learners to succeed beyond high school by exposing them to career and study options. Projectors enable tutors and facilitators to teach using educational videos, online tools and PowerPoint. 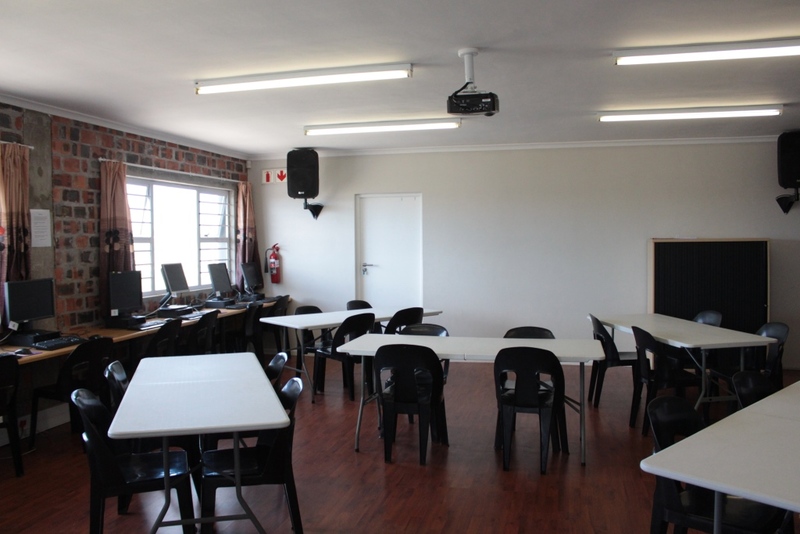 Each classroom is dedicated to a specific grade, where learners receive tutoring in a small group setting.